We received very sad news today that Rancho Alegre Boy Scout Camp sustained major damage in the Whittier Fire. Most of the main structures at camp have been burned. 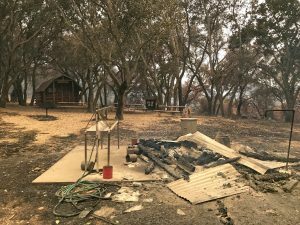 Carlos Cortez, Los Padres Council Executive Director, is reporting that Rancho Alegre lost 90 percent of the buildings and he has been authorized to visit the camp later today to assess the damage. The above photo shows Comanche, Troop 1’s adopted campsite. It seems that Millers Outpost, our cabin, is still standing and but it appears we lost our bathroom and we are not yet not sure about any other damage to our campsite. Many years ago Troop 1 adopted Comanche Campsite at Rancho Alegre and built a cabin on the site as well as other improvements throughout the campsite. Additionally Troop 1 invested money in other structures like the dining hall and the dormitories that were used for the outdoor school. Please do not try to visit the camp. The Los Padres Council Website states that scouting personnel are not allowed on the camp to asses the damage at this time. 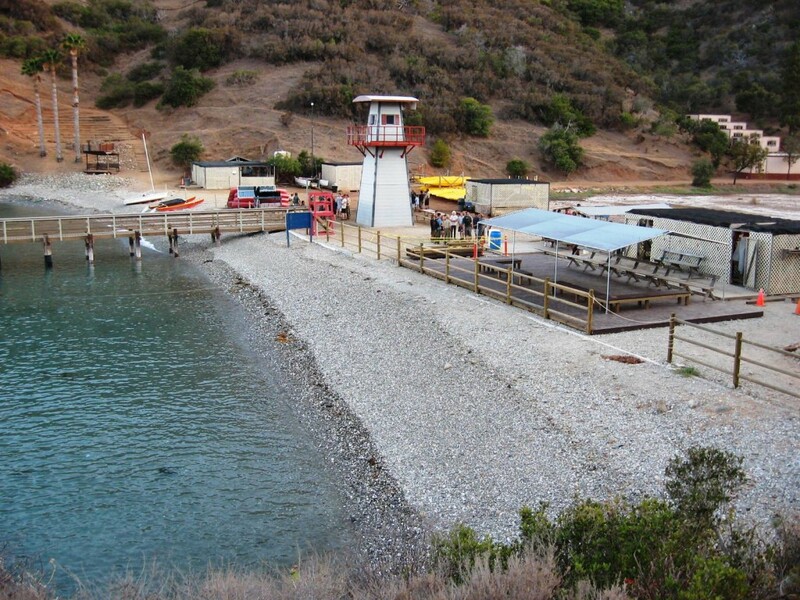 Summer camp is coming up at Cherry Valley Camp which is on Catalina Island. The Troop will leave on Sunday July 3 and travel to Long Beach then take the ferry to Catalina Island. They will return by ferry to Long Beach on Saturday July 9. This is a great opportunity for boys this summer. If you are interested in going please contact the Scout Master. To get a feel for the camp you can look at Camp Cherry Valley Camp. There is a 2016 leaders guide which can help you get ready for camp. Here is the 2016 Program Guide. Bike ride on the Ojai Valley Trail on Saturday, November 14 and camp at a group campground on November 14, and return to Santa Barbara on Sunday, November 15. Departing at 9 am on Saturday, November 14 from First United Methodist Church. We will drive to Foster Park in Ventura (address 438 Casitas Vista Road, off of Hwy 33, self-parking $4 per car). We will bike to Ojai along the Ojai Valley Trail and return by the same route (16 miles round trip). BRING YOUR OWN LUNCH to eat on the ride. After the ride from Foster Park, we will drive to the Holiday Group Campground (directions: From Vons in Ojai, drive north on Hwy 33. Go about 9 miles. Drive through three tunnels and pass Wheeler Gorge Campground. In 1 mile, Holiday Group Campground is on right side of Hwy 33 (turnout is not well marked)). An Adventure Pass is not required. The Holiday Group Campground has a very large BBQ grill suitable for charcoal and a large wood serving table. There is an outhouse but NO WATER. There are several picnic tables spread through site, but we suggest bringing portable shade and folding chairs. There are ample tent sites. We will depart the morning of November 15. Each scout and adult will need a helmet and a bicycle suitable for a long ride. Road bikes and mountain bikes are acceptable, but BMX and similar dirt bikes are not. All bikes should be in good condition and tires should be properly inflated. We will have a MANDATORY bike inspection at a meeting prior to the trip. For the camp out, each scout should be prepared for hot and cold weather. Bring a hat and sunscreen, and bring warm clothes, a warm sleeping bag (20-40 degrees) and rain-gear. The troop will supply tents. This years Rocket Launch and Camping Trip to Dairyaire 2015 is coming up Saturday October 17 and Sunday October 18. We will be leaving from the Church parking lot the Saturday morning at 6:00 AM and returning late Sunday afternoon. If you are going and want to launch a rocket make sure you buy your rocket by next Thursday October 8th as we will be using the meeting to learn how to build them. Note: Make sure you also purchase enough rocket motors if you want to launch more than once. There will be vendors onsite selling rocket motors but not all sizes may be available. It is best if you can purchase the motors and bring them with you. In Santa Barbara, you can purchase kits from California Hobbies at Magnolia Shopping Center, 5118 Hollister Ave (Note: regular store hours are Tues – Sat 10:00 – 5:00. close Sun and Mon.) In Ventura/Oxnard/Camarillo you can purchase kits from Fry’s Electronics and Hobby People. here are many on-line suppliers of model rocket kits. The following are other on-line sources. eRockets is a good site showing many of the different kinds of rockets you can purchase. Others include Hobbylinc and Estes Rockets. Please ask some of our rocket veterans if you have questions. Leaving the Church at 6:00 AM Saturday. Please be on time. We will stop for Breakfast/Lunch about 9:00 AM. We will be stopping where food is available for purchase or you may bring own food. We will arrive at the camp ground launch site around 11:00 AM. We will set up camp and launch rockets. Those having lighted rockets can continue with night launching. Depending on how much rocketry the Scouts want to do on Sunday morning we will leave around 12:00 PM and should be back at the Church about 5:00 PM. Cost for attendees (Scouts and adults) is $50.00 and includes meals while at Dairyaire and transportation to and from the outing. Scouts should bring their own money for meals on the road to and from the launch and for additional rocket motors, if needed. The Troop will be car/tent camping at the rocket launch site. The rocket launching activity site is somewhat remote and is located far away from trees and building. Bathroom facilities will be available. Be sure to bring sunscreen and hats. Dairyaire is held in Fresno and more details about the launch and the Tripoli Central California rocket meets can be found at their website. The Wilderness First Aid is being offered in October of this year. The first weekend is Saturday October 3rd and the second weekend is Saturday October 10. This is the class that people who lead backpack trips should take. It has to be renewed every few years as well. 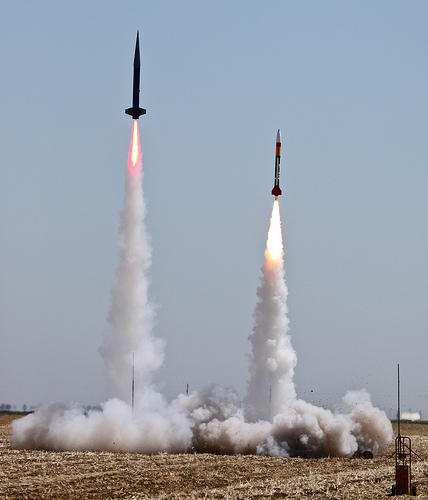 This years Rocket Launch and Camping Trip to Dairyaire 2015 is coming up Saturday May 16 and Sunday May 17. We will be leaving from the Church parking lot the Saturday morning and returning late Sunday afternoon. Cost for attendees (Scouts and adults) is $40.00 and includes meals while at Dairyaire and transportation to and from the outing. Scouts should bring their own money for meals on the road to and from the launch and for additional rocket motors if needed. The Troop will be car/tent camping at the rocket launch site. The rocket launching activity site is somewhat remote and is located far away from trees and building. Bathroom facilities will be available. Be sure to bring sunscreen and hats. If you are going and want to launch a rocket make sure you have yours built and ready by Saturday May 16. Make sure you also purchase enough rocket motors if you want to launch more than once. There will be vendors onsite selling rocket motors but not all sizes may be available. It is best if you can purchase the motors and bring them with you. There are many on-line suppliers of model rocket kits. In Ventura/Oxnard/Camarillo you can purchase kits from Fry’s Electronics and Hobby People. eRockets A good site showing many of the different kinds of rockets you can purchase. Troop 1 will be attending a second summer camp this summer from July 26th thru August 1st. 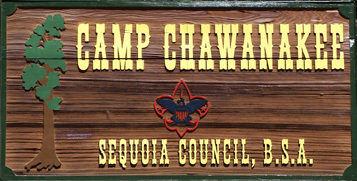 We will be going to Camp Chawanakee at Shaver Lake hosted by the Sequoia Council. This camp focuses on merit badges and has many great opportunities including boating and aquatic activities right on Shaver Lake. It will be a great experience for everyone. Camp Chawanakee has over 30 merit badges offered during camp. Scouts will spend a full week at camp going to merit badge classes each day and then enjoying free time in the afternoon where they can participate in waterfront activities including swimming and boating. Hiking, A Great COPE type ropes course is available as well as shooting sports. Accommodations for camp are cabin type tents with a wooden platform. These tents are supplied by Chawanakee. If you are interested in going … $100 deposits are due now. Please make checks payable to “Boy Scout Troop 1”. Troop 1 will going on a backpacking trip in the San Rafael Wilderness Sunday January 18 to Monday the 19th. Here is the suggested Nira Backpacking Equipment List. Remember that each scout must buy and carry his own food. Fully packed, each scout’s backpack should weigh less than 25 pounds. PLEASE RSVP to Mr. Urschel so we can know how many scouts to expect. If you have any questions, please call Ted Urschel at (805) 695-0596 or email him at ted@tedurschel.com. Leaving: Sunday morning November 23 from the First United Methodist Church parking lot at 6 am sharp. Destination: Salmon Creek Trail to Estrella Camp, Distance 3.5 miles (one-way). See description at http://www.hikinginbigsur.com/hikes_salmoncreek.html. Returning: Monday evening November 24 to the First United Methodist Church at around 6 pm (estimated). Click here for the Big Sur Backpacking Equipment List. Each scout is responsible for his own meals and snacks. See the equipment list for number of meals needed. Please bring your gear to the meeting on Thursday, November 20 for inspection. Cost: $12 cash for breakfast on Sunday, plus approx. $15 per Scout to troop for gasoline, depending on the number of people going. If you have any questions, please call Ted Urschel at (805) 695-0596.